This apartment is situated in Eixample, just over ten minutes’ walk to Plaça de Catalunya, the city’s main square, and offers free WiFi and air conditioning. It is also located under a minutes’ walk from Urgell metro station. The apartment sleeps up to 6 people across three bedrooms, each with a double bed. There is a spacious living and dining room with a large flat-screen TV and dining table. The kitchen includes a microwave, kettle, coffee maker, oven and toaster. It is located just 500 metres from Plaça Universitat and is a 15-minute walk from Passeig de Gràcia, home to Antoni Gaudí’s Casa Batlló and Casa Milà. 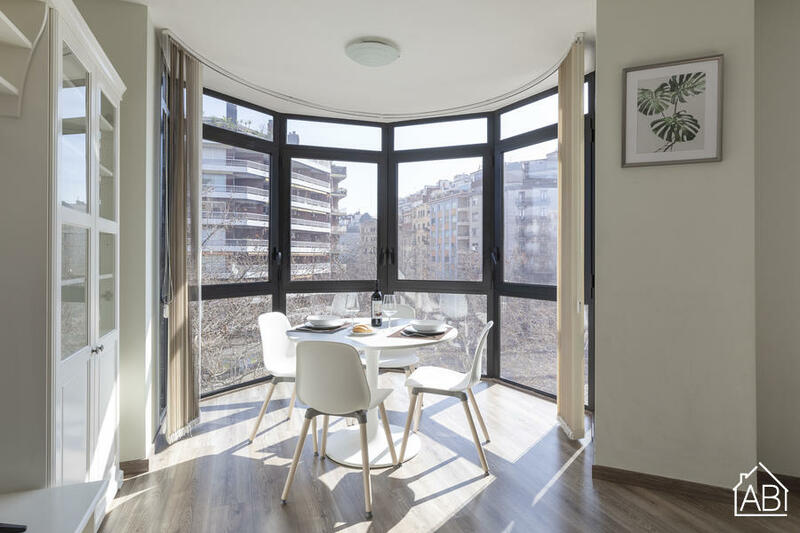 There are plenty of supermarkets, bars, cafés and restaurants in the surrounding area, as well as great public transport links, making it the perfect choice for a longer stay in Barcelona. Eixample is a great choice for those interested in architecture, museums, local culture, landmarks and city stays.